For those unfamiliar with the term “Busking,” it is the act of performing in public places, but it is more commonly seen as an attempt to panhandle. In some cases it is a staple for the city’s tourism. A perfect example of the latter is San Francisco: head down to the pier and you can see all sorts of talented people performing an array instruments or showcasing other talents to entertain the passing public. This proves to be quite the lucrative business. With the exception of a handful of other places, the rest of the world does not view this in the same way. Spokane,Washington. Right in the heart of the city along one of the busiest streets in town stands the Riverfront Park Mall. 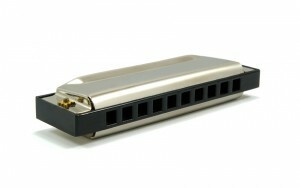 In front of the mall, on any given day, stands a man with only his harmonica and amplifier. Known by several names, “Harmonica Man;” “Harpman Hatter;” and “Harmonica Man Hatter” just to name a few, Spokane’s Rick Bocook has been playing his form of the Blues for the better part of a decade. The Blues by definition are essentially a conveyance of one’s heartbreak, tribulations, or experiences into a passionate melody intertwined in peaks and lulls. Having learned he has both feet firmly planted in support from Street Arts & Buskers Advocates, I was thrilled to experienceSpokane’s own publicly available talent. Having this immediately available and being such a proponent of local and indie music scenes, I couldn’t keep myself away. With complete lack of structure or melody anyone passing is subjected to a noise that will make even the most abstract fans of music cringe. Each self proclaimed song appears to be compiled of random draws and blows with no real passion, ethic, or pace. After listening to more than five minutes, you find yourself wondering if this is really about music at all, or simply the necessity to draw attention. I could not get into or even wrap my head around what Bocook is attempting to perform. Struggling to reach a comprehensive performance, it is quickly apparent that the foundation is there, but his talent has not grown. Perhaps it is simply the venue. If Bocook were paired with a guitarist or a band, we may be given a glimpse into something much more artful; however, based on the attempts at hand, the so-called “Harmonica Man” falls short of anything tangible. Falling short of anything resembling a staple in Spokane’s Must See. To my disappointment, we are witness to just another street loiterer, attempting to garner attention. This entry was posted in Other Great Stuff! and tagged Busking, Harmonica, Harpman, Hatter, music, nanobot rock, Rick Bocook, Riverfront Mall, Spokane, Street Arts & Buskers Advocates, Washington by Greg. Bookmark the permalink.